There they go again. Iconic US automaker General Motors has already staked out a reputation for leading the industry into the renewable energy revolution. Now the company is raising the bar again. A new deal with the Detroit based utility DTE will enable the company to wrap its hands around the equivalent of 300,000 megawatt-hours in wind energy. As the largest renewable energy contract so far under a new “Green Tariff” plan in Michigan, the GM wind power deal adds to the roadmap for other leading US companies to achieve their own clean energy goals, regardless of political headwinds in DC and elsewhere. 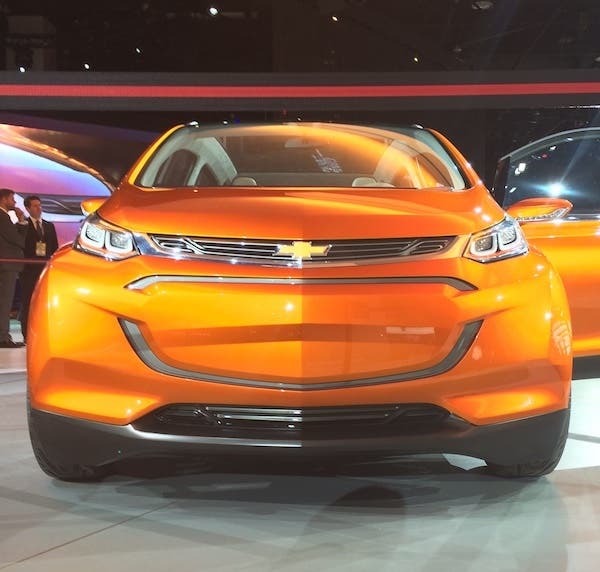 CleanTechnica: What motivated GM to enter into the Green Tariff arrangement? Threlkeld: Green Tariff goes along with doing business with local suppliers. It’s also part of the process of looking at renewables. We can do some on site, and some through power purchase agreements. With Green Tariff, we source from the utility but replace conventional power with wind or solar. Renewable energy is also part of the larger story of GM in regards to our goal of zero crashes, zero emissions, and zero congestion. The zero carbon resources align nicely because they support electrification. CleanTechnica: How do you expect the new wind purchase to help drive the market for renewable energy? We are bringing the knowledge that renewable energy is price competitive. It drives the story around new technology and the transformations that are taking place. The automotive and the utility models are both transforming, and the story is about how these two industries are evolving together. CleanTechnica: So this is also part of the broader trend of electrification? Threkeld: I grew up in a house with a heat pump, so I understand how electrification in the building sector fits with our industry. With an all-electric building you have the ability, through one phone and one utility, to manage all of your appliances. You can work with your utility on rates structures and other price incentives, for example in heating and cooling. It’s the same for electric vehicles. Your whole mindset changes when you use that resource. In both cases we leverage the consumer and how they adapt to using this new resource. CleanTechnica: Tell us how other areas of clean tech fit into the GM story. Threlkeld: For example, your house will never use zero electricity. So for GM, we think about four pillars. One is how to leverage energy efficiency. Another is how to use renewable energy resources, whether it’s on site, through community choice, or green tariffs. The third is energy storage. Vehicle-to-grid technology is not there yet, but at the very least you can manage your charging. Finally, we want to leverage policy and scale. We see GM as the voice of how fast technology is transforming our daily lives. It’s the voice of sharing how much we can do, and how much we can control. GM faced blistering blowback from conservative pundits when it introduced the Volt electric hybrid to US drivers, but it forged ahead and introduced the Bolt EV. As one measure of how quickly things have changed, GM’s latest clean tech announcements have been pretty much met with cricket chirps on the red side of the political spectrum. The latest deal with DTE will provide GM with enough wind power equivalent to provide all the electricity to its Warren tech center and a “substantial” amount of its global HQ at the Renaissance Center. The new purchase brings GM ‘s renewable energy contracts and investments to a total of 1.71 terawatt hours of clean energy power. The wind is being sourced through DTE’s MIGreenPower program, which enables participants to claim DTE’s clean power projects for up to 100% of their energy use. The program is loosely similar to community choice aggregation plans, but for large scale ratepayers. MIGreenPower is a new program that only just passed approval from the Public Service Commission last January. With GM in the lead, other major companies could hop on board. [DTE] will more than double its renewable energy generation capacity, investing an additional $2 billion in wind and solar by 2024. As part of its commitment to reduce carbon emissions by more than 80 percent by 2050, DTE is significantly increasing the amount of clean energy in its generation portfolio. That 2050 goal does not reflect the tight window of action envisioned by the Green New Deal, but the renewable energy market is developing rapidly. GM is a case in point. Just a few years ago it had practically zero wind or solar under its belt. Now it has reached a milestone of 20% for its global clean power needs. Aside from clean power projects that benefit itself directly, GM has also rallied with other corporate leaders to push the market for renewables through the Renewable Energy Buyers Alliance (REBA) and the RE100 clean power collaborative.